By Melissa Lennig on January 1, 2018 24 Comments. This content contains affiliate links. As an Amazon Associate I earn from qualifying purchases. Nature and art collide in this beautiful “snowy day” tissue paper art project. 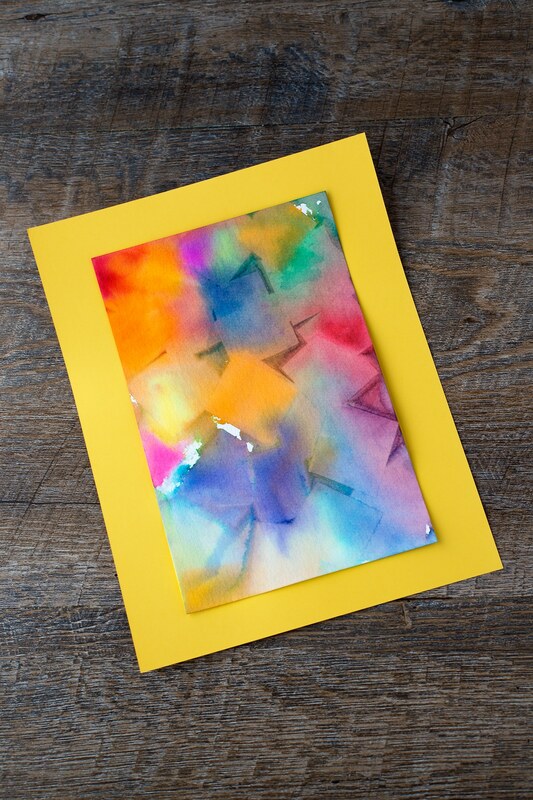 Simple enough for kids of all ages, this colorful process art project uses bleeding tissue paper and snow to create vibrant one-of-a-kind paintings. It’s the perfect winter art activity for home, school, or community programs. 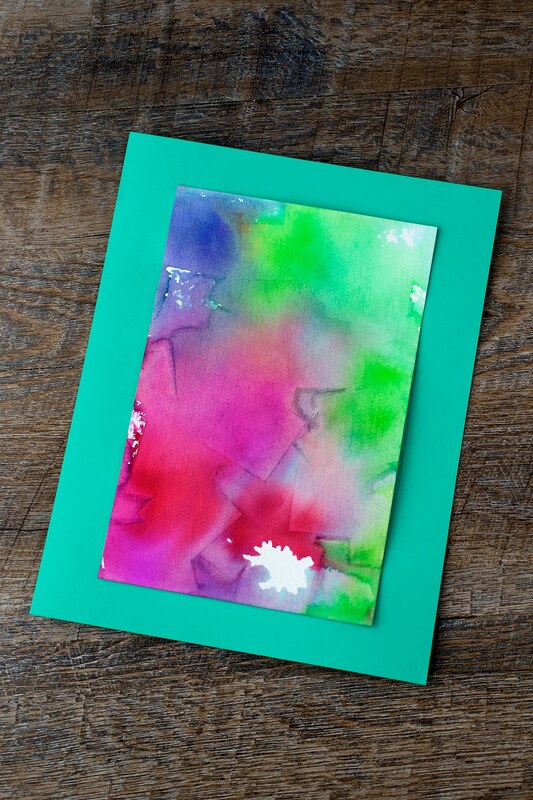 This creative winter art project is incredibly bright, fun, and easy for kids and adults of all ages. For best results, use bleeding tissue paper which is designed to bleed and spread color when wet. If you don’t have bleeding tissue paper, you could try using crepe paper, but it may not be as colorful. 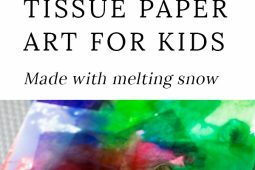 Snowy Day Tissue Paper Art is a creative winter process art project for kids of all ages. 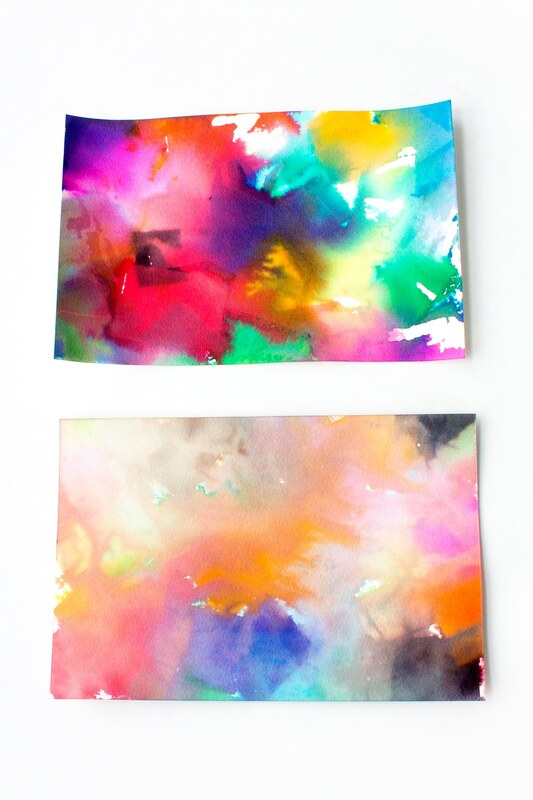 This colorful art activity is perfect for home or school! 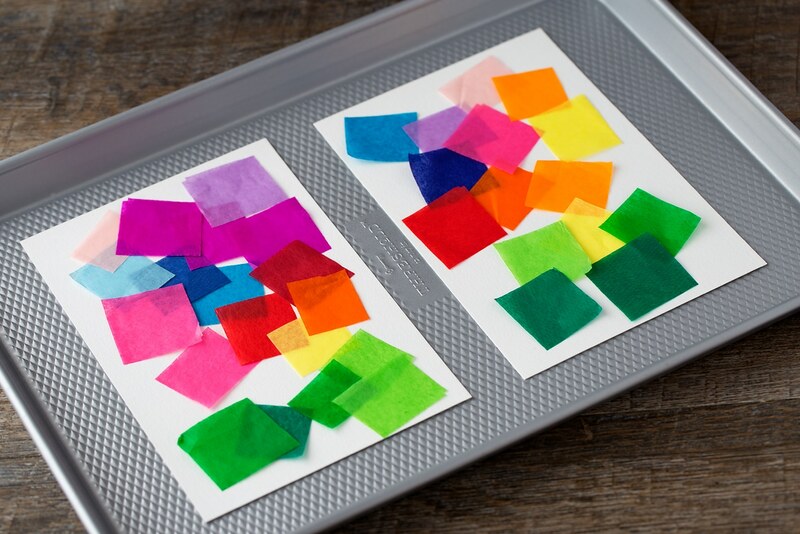 Spread the tissue paper squares onto the watercolor paper. If you plan on bringing the tissue paper outside, secure each square with a small dot of water so they don't blow away. Take the paper outside or bring the snow inside. If it is snowing, allow the snow to gently fall on top of the paper. If it is not actively snowing, sprinkle a small amount of snow on top of the paper. 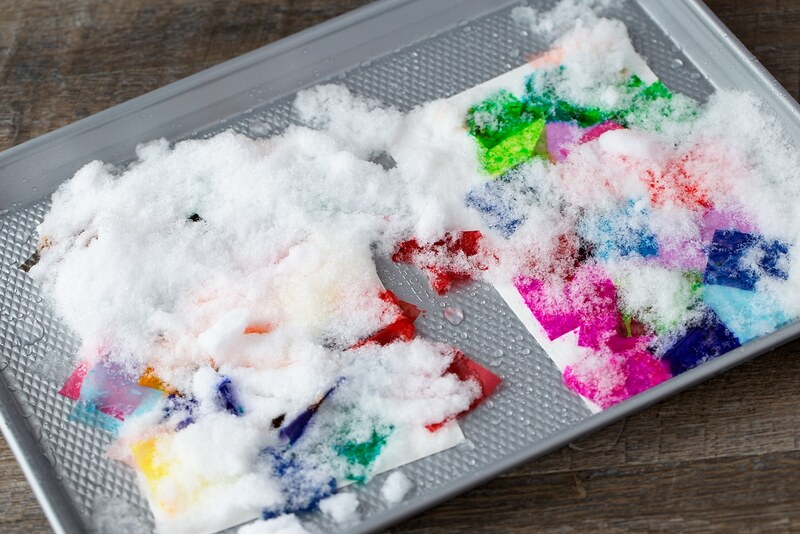 Bring the snow-covered paper indoors and place the paper on a tray. As the snow melts, the dye from the tissue paper will "bleed" into the watercolor paper, leaving behind a vibrant wash of color! Allow the tissue paper and watercolor paper to dry completely. When both papers are dry, gently brush away the tissue paper. If desired, mount the tissue paper art on a piece of colored paper with double-sided tape. Your snowy day tissue paper art is complete! 1. Cut the bleeding tissue paper into small shapes, such as squares, with scissors. 2. 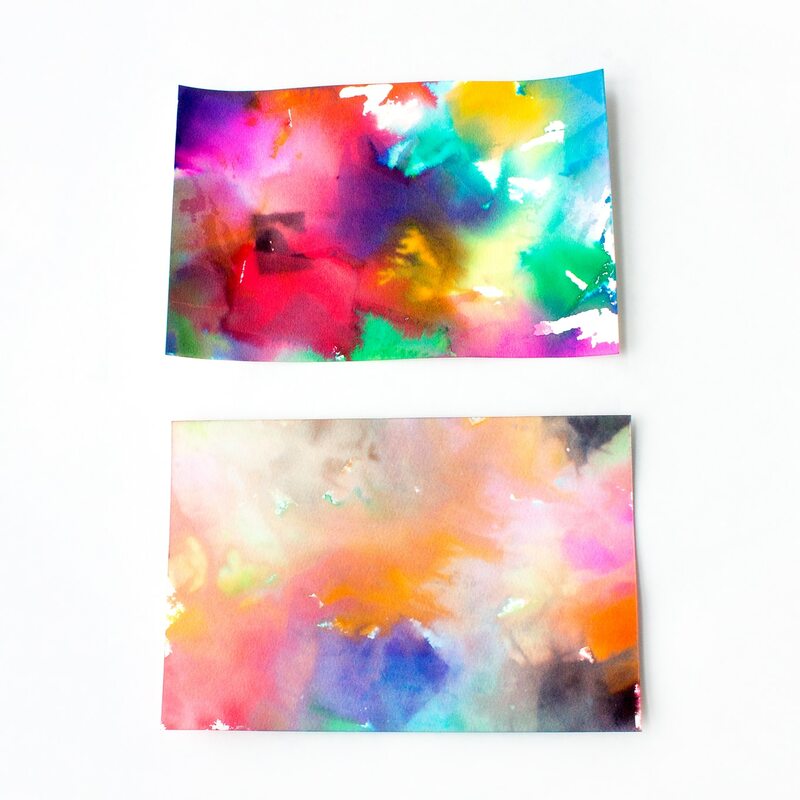 Spread the tissue paper squares onto the watercolor paper. If you plan on bringing the tissue paper outside, secure each square with a small dot of water so they don’t blow away. 3. Take the paper outside or bring the snow inside. If it is snowing, allow the snow to gently fall on top of the paper. If it is not actively snowing, sprinkle a small amount of snow on top of the paper. 4. Bring the snow-covered paper indoors and place the paper on a tray. 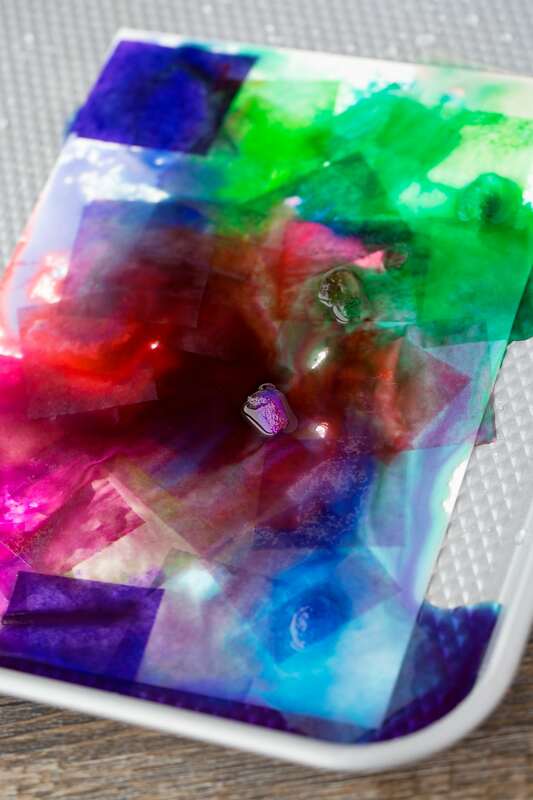 As the snow melts, the dye from the tissue paper will “bleed” into the watercolor paper, leaving behind a vibrant wash of color. Kids love to watch the colors swirl together as the snow melts! Tip: If you live in a warmer climate and don’t have snow, spray the tissue paper squares with water. 5. Allow the tissue paper and watercolor paper to dry completely. 6. When both papers are dry, gently brush away the tissue paper. 7. If desired, mount your tissue paper art on a piece of colored paper with double-sided tape. 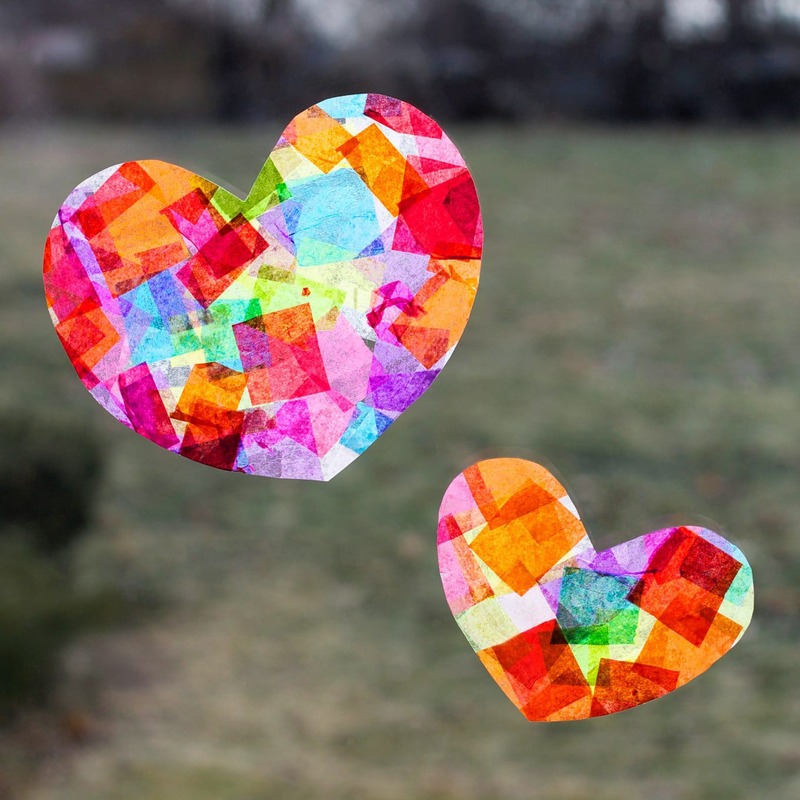 Use a rainbow of tissue paper squares to make colorful tissue paper heart suncatchers. Love animals? 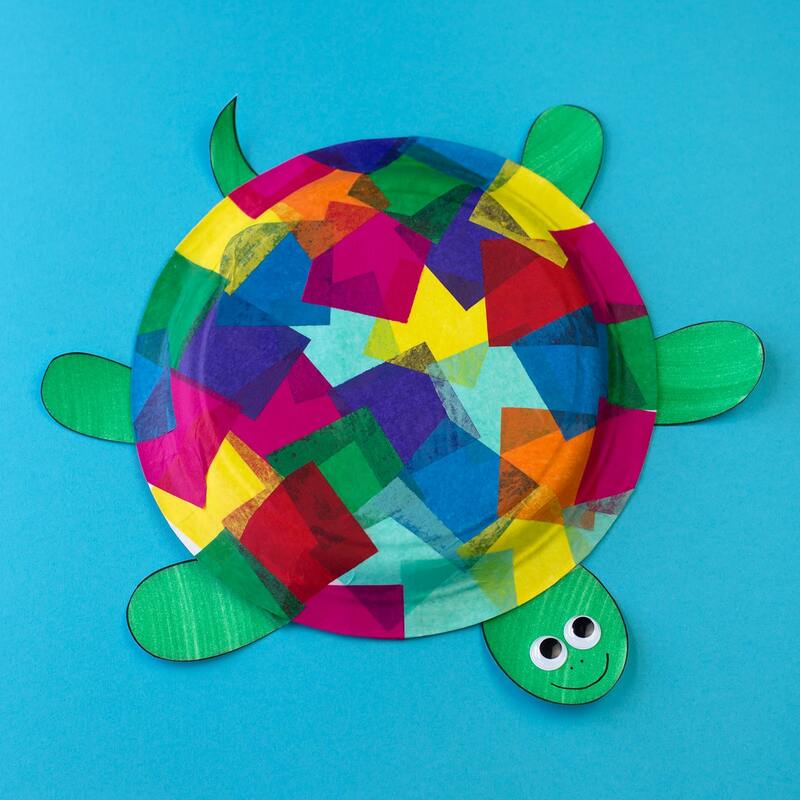 Make this adorable tissue paper turtle any time of the year. 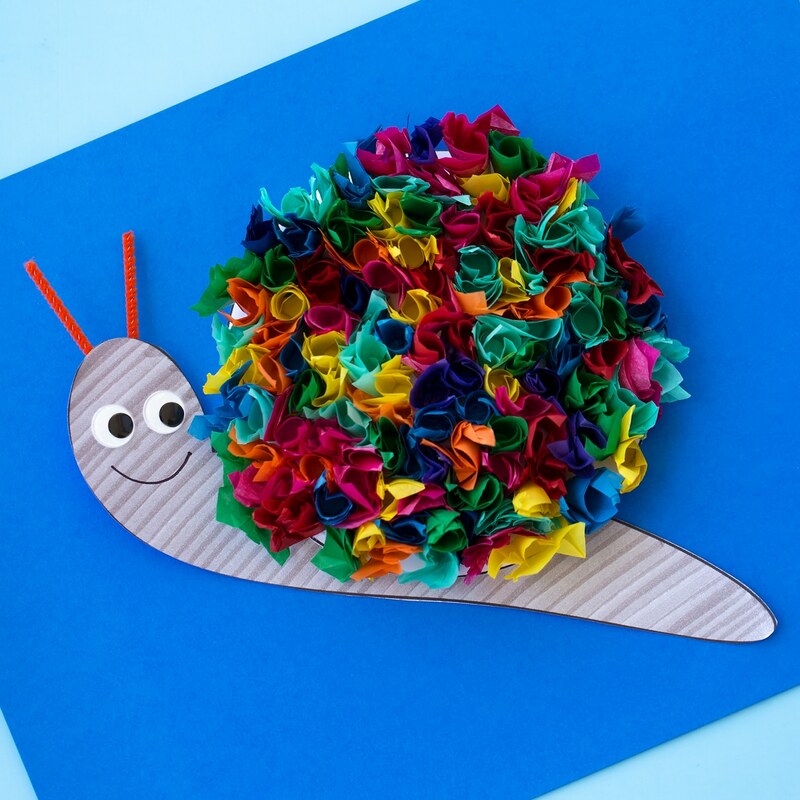 Use the tip of a pencil, tissue paper, and our snail pattern to make this tissue paper snail craft. Yep, not all brands of tissue paper will work. Best to get the bleeding tissue paper! If you really want to try it with something you can grab locally, you may have better luck with crepe paper. Where do you buy bleeding tissue paper? I have always bought it from Amazon. There is a link in the list of directions. Have you ever done it on a canvas? No, I have never tried that. Not all regular tissue paper and crepe paper will work. You need to use the bleeding tissue paper that is shared in the list of supplies. 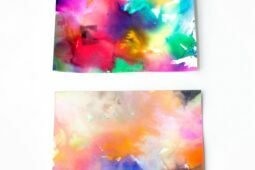 Watercolor paper is simply paper that absorbs and distributes watercolors well. 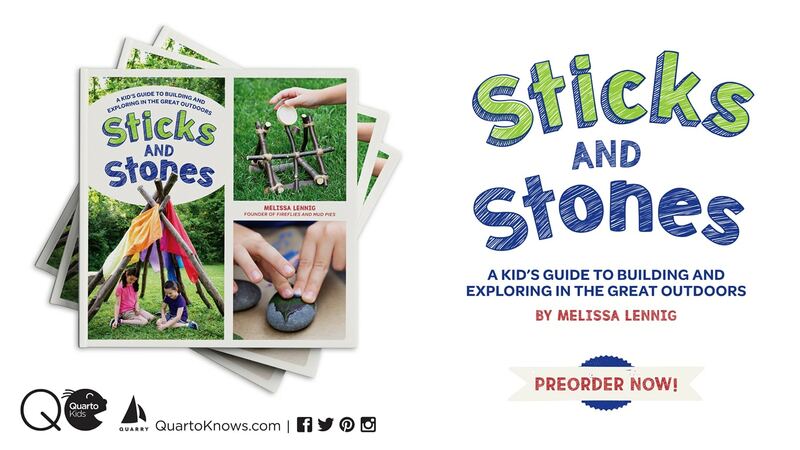 It can be purchased at any art supply store. We tried this and it did not work. We must not of had bleeding tissue paper. We also tried crepe paper. It worked some but not as bright and beautiful as the pictures that was shown on here. I used and recommend bleeding tissue paper.